LASIK and cataract surgery are two leading surgical procedures that are designed to improve your vision. However, in order to obtain optimal results, we recommend these surgeries be performed with expert care and according to the most modern medical techniques possible. 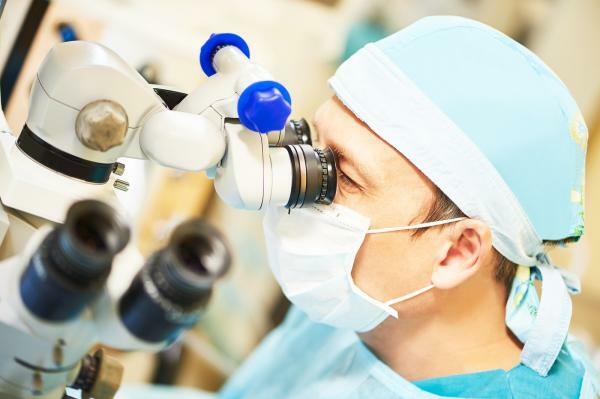 If you need an ophthalmologist in Dallas that can provide you with the best LASIK and cataract surgery available, then here is more information about how Trusted LASIK Surgeons™ can help you with eye care in Dallas. Cataracts usually occur as you grow older, but can be caused by a variety of conditions, including exposure to UV radiation, eye diseases, medical conditions like diabetes, hereditary conditions, and direct trauma to the eye. Cataracts are actually the leading reason of treatable blindness. As they progress, your vision will grow blurry, colors will become more washed out, and you will likely experience poor night vision. Unfortunately, cataracts cannot be prevented as of yet, but cataract surgery can help you correct these conditions. Cataract Surgery involves surgically removing the natural lens in your eye and then replacing with an artificial one, known as an artificial intraocular lens (IOL). Monofocal lenses focus on one type distance, which means they tend to only focus on nearsightedness or farsightedness, but not both. While monofocal lenses are the standard artificial replacement, there are also multifocal lenses available, which may eliminate or reduce your need for glasses. The Dallas LASIK and cataract surgeons featured at Trusted LASIK Surgeons™ can discuss the benefits and advantage of both types of IOLs, and help you make an informed decision about which one will work best for you. There have also been advances in Laser Based Cataract Surgery, which uses a different technique to help correct your cataracts. Most of the surgeons featured at Trusted LASIK Surgeons™, offer both types of cataract surgery, which means you can find the surgeon that works best for you. LASIK surgery uses a medical laser which reshapes the cornea inside your eye. This helps your eye focus more naturally on objects that are both near and far without the need for a corrective lens, such as contacts or glasses. LASIK is well suited for a variety of conditions, including Astigmatism, Nearsightedness (Myopia), Farsightedness (Hyperopia). To a lesser degree LASIK may help improve reading proglems casued by Presbyopia. For many patients, LASIK can be a life-changing surgery, and allows them the freedom to see without glasses or contacts. However, there may be some circumstances where the need for corrective vision is still needed, such as when you perform night driving. In most cases, patients who undergo LASIK surgery achieve 20/20 vision or very close to it. The ophthalmologists featured at Trusted LASIK Surgeons™ typically perform LASIK, cataract and other vision correction surgeries using the latest medical advances and procedures. These surgeons will first determine whether you are an eligible candidate for cataract surgery, LASIK, or another refractive surgery procedure. If you are eligible, the Dallas LASIK and cataract surgeons featured at Trusted LASIK Surgeons™ will work to ensure your safety and comfort throughout the procedure. For LASIK surgery, you can expect to return to work or normal activities in 2 to 3 days while for cataract surgery it, you will likely need a day for recovery time. Both surgeries are considered painless. Your eyes will be numbed during the actual surgical procedures, and you will be provided with eye drops and possibly anti-inflammatory medication after LASIK and cataracts surgery. If you are a LASIK or Cataract Surgeon and interested in being a member of the Trusted LASIK Surgeons, sign up below and we will contact you.